What goes around comes around. Karma. We all know about that, right? I was thinking about it today because a recent conflict with my internet provider. After 5 weeks of no internet service (!) I finally got tough with my provider and read them the riot act in a calm voice with no cursing. I figured it wasn’t appropriate to go postal on them but they needed to know that their customer service and technical service was really bad. This is a tough thing for an amiable person to do. The point being that whomever dropped the ball was inadvertantly teaching me a lesson about patience and about standing up for myself at the same time. I think I did okay. Maybe they are going to learn a lesson about how it feels to not get the help you need. Then I heard on the radio today that Van Morrision never received any royalties for his most popluar song, “Brown-Eyed Girl” because he signed a bad record deal without consulting a lawyer. To this day he has never received a penny for that song or the album it was on. I’m sure he learned a lesson, just as I’m sure the cheating record producer who took advantage of him will learn his own lesson about being cheated. I was thinking that it’s really amazing how we live our lives learning from each other and either growing or not growing as a result. We get to interact with exactly the people we need to in order to learn what we need to learn in this life. The key is to pay attention so you don’t have to get the same lesson over and over again. As Stevo is fond of saying, if you don’t listen to the whispers you get the shout. The whispers are a lot easier to deal with. In the great documentary “The History of the Eagles” (a major part of my youth, that band) Joe Walsh talks about a philosopher he read who said when you’re going through your life it may seem chaotic and confusing, but when you look back on your life it looks like a finely crafted novel. I just love that idea that all these random events do really have a purpose. Yesterday I received a bit of local wisdom from a guy who held the door for me at the hardware store. When I thanked him he said “It doesn’t cost anything to be kind”. For sure. I’ve been doing my grounding and clearing in a different way for many months so I thought it was time to share it with you. This exercise is based on George Kavassilas’ Earth/Heart Connection exercise. I just changed it a bit to suit myself. What I’m doing now to clear my space and ground myself is to focus on my multi-dimensional heart center (see picture at right for location) and connect with the feminine being who is the Earth, and is the female aspect of the Prime Creator of the universe. This heart center is between your sternum and your throat in the mid-line of the body. Instead of bringing in energy from outside myself, I radiate energy out to the Earth. I hold my hands up in front of me, like I am holding a ball, to help me focus on the heart area, and breathe in to a count of 4, hold the breath for a count of 4, breathe out to a count of 4 and hold the breath for a count of 4. Imagine the heart center area radiating with Love as you breathe in, hold the breath, breathe out, hold the breath, etc. See if you can feel it between your hands, like you are holding a ball. Imagine it glowing gold, and pulsing. Imagine the ball expanding out all around you from this center, radiating out. Once I get that radiating feeling going, I imagine connecting it to the heart center of the Earth. I don’t attach the Earth’s heart center to any specific geographic location. I think of the rocks being bones, the water being blood, the land being skin, and I radiate out to the Earth’s heart center until I feel like I’ve connected with it. When I can really feel the skin and bones and blood of the Earth, I feel like I’ve connected. I’m doing this instead of bringing energy in from any other source. I’m learning that we don’t need to rely on getting energy from anywhere else, we have all we need in us already. Once you connect with the Earth, you can do the same thing to connect to the Sun, the male aspect of the universal Creator. Once I’ve connected with the Earth and Sun, I connect with the Galactic Central Sun at the center of the galaxy. You just keep expanding your heart center energy out farther and farther. To ground and clear my space, there are two ways I’ve worked. Method One: While still doing the breathing, lift that ball of energy that is between your hands above your head, and slowly bring it down as if you are moving it through your body. Go slowly and notice where you may feel blockages or energy that isn’t yours. Keep the ball of energy in that spot until you feel it clear. Move the ball of energy all the way down to your feet and then release it down into the Earth, along with any energy that isn’t yours. Then focus back on radiating Love out from your multi-dimensional heart center again. 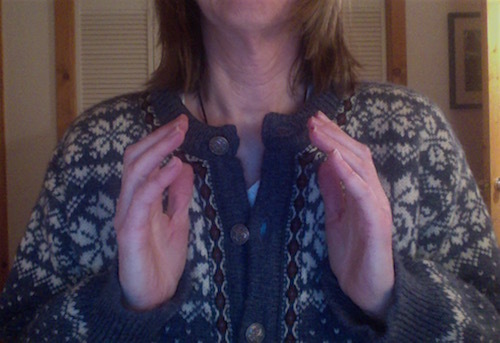 Method Two: Become aware of the energy from your heart center filling a big bubble around your body. While doing the breathing, imagine the bubble of energy around you going down into the heart of the Earth, taking all energy that is not yours with it. Then continue to radiate out from your heart center until the bubble around you is filled up again. You can do this over and over if you feel the need. By this time your hands and body may be tingling, pulsing, and warm. You can now radiate that Love out to anyone, anywhere. Envelop your target, whether it is negative or positive energy, and just bathe it with this high frequency Love energy. Don’t expect a particular outcome. Just be neutral and radiate Love. Hi all, I know I haven’t posted in a long time and have taken most of this year off from posting. Don’s death was quite a blow and I’m still recovering from that shock even after 5 months. Aside from Don, I’ve lost three close family members and two pets in the past few years, so it’s definitely been a rollercoaster ride for me. I’ve also completely changed my worldview and perspective on everything after reading George Kavassilas’ information. It reminds me of when I first discovered orgonite and felt like I woke up from the hypnosis of the new age movement. The difference now is that I’m not waking up from hypnosis, but adding to the expanded perspective I got from discovering orgonite. This new information dovetails nicely with orgonite and goes further in that can help you do some of the things that orgonite does etherically. I think ultimately we all have it within ourselves to completely control our reality. But I also think it takes a lot of work and discipline to do that. I can’t do it yet. But I’m willing to explore ways to do that. So far, nothing I’ve heard from George K raises a red flag. I continue to feel the truth of what he says, even though I have no proof and he offers none. I don’t feel it serves anyone to have a designated guru, so I don’t want to be one or look for one. I think the key is to explore, find out different information and ways of doing things, and try things out to see how they work for you. Just as different diets work for different people, so does different information. Everyone is on a path and we’re not all at the same place, nor should we be. Question everything, and sometimes you will get really interesting answers. :-)Based on George’s info I’ve developed a new way of clearing and grounding, so stay tuned for a post about that soon. I hope you are healthy and happy. Stevo and I will be celebrating Winter Solstice with Carol soon, and I wish all of you Love and Joy as we journey towards Spring and the new year. I am very saddened to report that our good friend Don Croft passed away July 21, 2018 from injuries sustained during a paraglider crash. Don’s family is not quite prepared to share all the details of the incident right now, but we felt that we needed to let people know what is happening. There will be a memorial service for Don at his brother’s home on Wednesday, July 25. Don was a brilliant, generous man who, along with Carol, did so much to help heal the planet. His unique viewpoints and articulate way of expressing himself made it a pleasure to read his posts, articles and emails. He was much loved as a husband, father, brother and friend. I’m finding it hard to write a long post because I am still shocked and stunned, like all of his family and friends. Please send your love and boosts to Carol. She is doing okay but could definitely use your good thoughts. Don was airlifted off the mountain paragliding site to the hospital, and that is likely to be a bill that will be at least $30,000. Carol could really use some help meeting that obligation as well as hospital and funeral costs. Carol and Don have given much to the world. 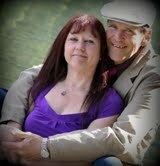 They have spent the last 18 years spreading orgonite and teaching people all around the world how to do it too. We are hoping that you can help give back a little to Carol as she deals with the loss of her husband. Stevo and I have been watching videos recorded by George Kavassilas at www.weareinfinite.love. You can find him on Youtube, but We Are Infinite is his website with better recordings and lots of information if you join. This is really profound, next-level stuff that goes way beyond probably any other information out there. Stevo and I have found that it resonates strongly with our hearts. It answers a lot of questions I’ve had about what is really happening, and what is the true nature of our existence. It’s heavy stuff but told with a light heart by George, who seems to have a good grasp on neutrality and unconditional love. I thought I’d share it with you so you can find out if it’s something that you need to hear. If you don’t want to join his website, watch one of his Youtube videos first to see if you want to continue. I think anyone who is searching for what is real will want to continue. I’ve always been fascinated by quantum physics and I think I had to read that stuff to get ready for some of the concepts talked about in his videos. If you want a good explanation of our physical universe, read “The Universe in Your Hand” by Christophe Galfard. It’s written for the non-scientist and it helped me satisfy the left brain desire to “know” so that I can use my right brain to “imagine” what might be beyond our knowing. The funny thing about this book is that when scientists get to something they can’t explain with science, they throw up their hands and say “we don’t know, so let’s talk about something else.” George Kavassilas gives you a LOT more to think about. Carol has decided to cancel the Super CB raffle due to lack of interest. Although some tickets have sold, there haven’t been enough sold to cover Carol’s costs. Perhaps this was an idea before it’s time, or perhaps they are meant for another purpose that is yet to be revealed. It’s a mystery! Carol may decide to try the raffle at a later date. Carol will be refunding all of the tickets sold. If your refund isn’t processed immediately please be patient. Carol is currently traveling to Tucson for the gem shows and will not have a lot of time to be on her computer for the next week or so. You’re saying Love is foolish to believe. Put the fear back in your life. To look as if the hero came too late? From the moment that the whole thing begins. Though it looks like we’re alone. But it’s Love that wrote the play. And in this darkness Love can show the way. You feel your own heart beating in your chest. So you get up on your feet and do your best. Burning in the happy angels eyes. And it’s Love who stacked these stones. For in this darkness Love will show the way. Carol’s three super Cloudbusters are now being raffled! These aren’t just ordinary Cloudbusters! 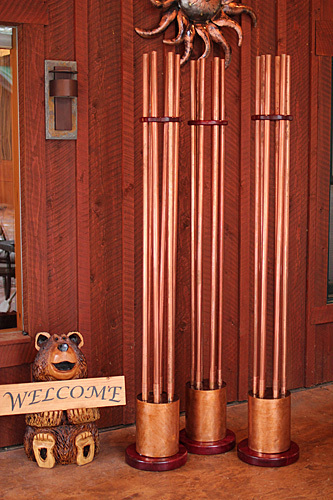 These are three-of-a-kind, special edition, signature series, copper-encased Cloudbusters. Carol has been planning these cloudbusters for several years, after finding a large copper tank that she had Don cut into three cloudbuster containers. Double-terminated Citrine – clears any other stones you put it with, will send energy out in the four directions. These beautiful cloudbusters feature a purple heartwood base for the copper container and purple heartwood spacer for the top of the pipes. The copper container will be signed by Carol. This is your chance to buy a ticket to win a once-in-a-lifetime creation! The raffle will end on February 2, 2018 and the winner will be chosen by Carol on that day. Winners will be announced on February 3, 2018 and will be notified by email. You must include your email when you purchase your raffle ticket, or you will be ineligible to win! Carol reserves the right to cancel the raffle at any time for any reason. Note: Winners are responsible for cost of shipping the CB base. The weight of the Super Cloudbuster base is 40lbs. The shipping price and payment for all winners will be negotiated with Carol after the raffle is concluded. 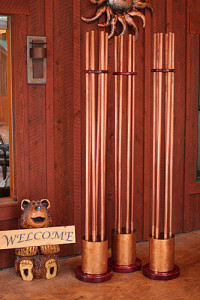 The 5-foot copper pipes are not included in the Super CB Raffle, but will be available for any overseas winner who might have difficulty purchasing the proper size pipe outside the U.S. Purchase price and shipping for the copper pipes will be negotiated with Carol after the raffle is concluded. Super Cloudbuster Raffle Starts January 1, 2018! Raffle tickets for these three cloudbusters will be available starting January 1, 2018. Carol is now putting her personal finishing touches on them. They feature a purple heartwood base for the copper container and purple heartwood spacer for the top of the pipes. The copper container will be signed by Carol. This is your chance to buy a ticket to win a once-in-a-lifetime creation! To see a short, amateur video on the making of these cloudbusters, click here. Carol describes the gemstones included in the CBs and their qualities. Check back for raffle details and pictures! I decided to start a page to connect people who want to get together with others in their area for support or to get together online in a boosting chat group. So please email me if you want to put your name, email and location on this page. I know it can be scary to put your email out there but sometimes there is no other way to get support. I also realize that this is what Facebook is for (ugh!) but I’m not on Facebook. There is an Etheric Warriors Facebook page, so you can also go there and try to connect with other folks. We’ll see how this goes…maybe no one will be interested. On the other hand, maybe it will help people connect without having to subject themselves to Facebook.